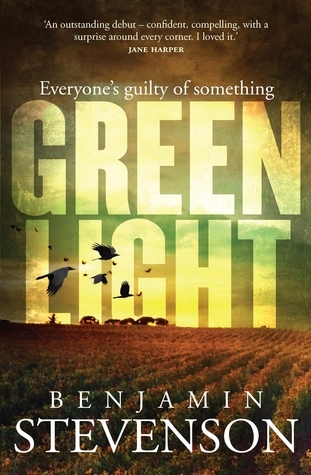 I have just finished reading Greenlight and wanted to know a little bit about the author as I was very impressed with this debut. What a surprise – a comedian? There is no comedy in Greenlight. Works in the publishing industry, I was sure I was going to find but didn’t – works in the film industry, specifically on documentaries, his protagonist Jack has an authentic documentary maker voice. I loved this aspect of the book. Back to the book – this is a brutal, dark and intriguing crime fiction narrative. I like how Stevenson has turned the stereotype regarding eating disorders on its head; a sad yet refreshing and honest approach here. Consequences, guilt, redemption and acceptance are themes that are sited in small town prejudices. Tension, tension, tension. And the ending – no spoilers here. Think you have it worked out? Think again. A montage of life’s noise. 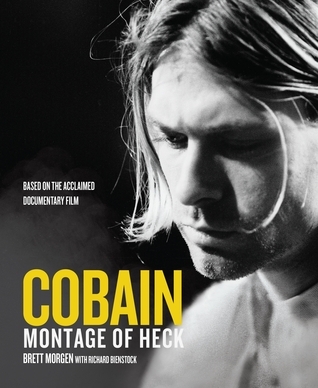 The riveting companion book to the highly anticipated documentary about the life of Nirvana frontman and grunge legend Kurt Cobain, featuring expanded exclusive interviews with the family and friends who knew him best and never-seen-before photographs and artwork. More than twenty years have passed since Kurt Cobain took his own life in April 1994. Today, his legacy continues to fascinate, inspire, and haunt us. This riveting chronicle, which accompanies award-winning director Brett Morgen’s highly anticipated documentary, paints an illuminating and honest portrait of the Nirvana frontman, capturing the contradictions that made up his character: he could be sincere and sentimental and also ironic and sarcastic, was sweet yet sour, and was both serious and very funny. This book – the only book about Kurt that has been produced with the cooperation of his widow, Courtney Love, and the Cobain Estate – includes interviews with numerous family members and friends, many of whom speak publicly about their relationship with Kurt for the first time, along with animation stills from the film, never-before-seen photographs, and other artefacts, offering revealing new insights into the life and character of Kurt Cobain. It is the ultimate book for fans of Nirvana, whose popularity continues to endure, and of Kurt, who remains a fascinating icon of popular culture. “Montage Of Heck” is a collage that Kurt Cobain assembled with a 4-track cassette recorder around 1988. It features sounds from Kurt’s extensive and bizarre record collection, manipulated recordings of the radio, elements of Nirvana demos, and sounds created or recorded by Cobain.” (http://www.livenirvana.com/digitalnirvana/songguide/body7fd4.html?songid=60) I think this quote/summary sums up the memoir/companion documentary of the same name/life of Kurt Cobain as reported in the media perfectly- Kurt Cobain – a montage of life’s noise; the drama, tragedy, illness, love, loss, pain, creativity, addiction and suicide. From janitor to mega star – what a life, what a death! Any fans of Nirvana and Kurt Cobain will love this book! Or indeed anyone who has enjoyed popular music in the 80’s and 90’s will appreciate this book. And the production values are massive! The images and the prints from the animation stills from the documentary used in this book are extraordinary; the quality is fantastic. This is the noise of Kurt Cobain’s life. PS My adult daughters said the documentary was awesome. When filming his TV series Race Relations, John Safran spent an uneasy couple of days with one of Mississippi’s most notorious white supremacists. A year later, he heard that the man had been murdered – and what was more, the killer was black. 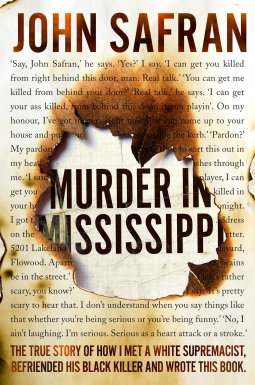 Murder in Mississippi is a brilliantly innovative true-crime story. Taking us places only he can, Safran paints an engrossing, revealing portrait of a dead man, his murderer, the place they lived and the process of trying to find out the truth about anything. For a true crime novel Safran writes a great documentary. I love the humour in this read (intentional or otherwise)… Safrans’ style is rambling, conversational, personal and intimate – he is talking to you in this novel, sharing his thoughts, sharing his fears, sharing his concerns and his investigative techniques and his revelations. He is honest. This reads as part diary, part interview, part commentary, part investigation and I did really love his warped sense of humour. It was interesting, it was entertaining, it was visual and it was thought provoking. When is the doco coming out? As I may have hinted about this in the past; I work in Australian film and television. These days I predominantly work on documentaries – in various roles – production accounting ( handling the money or lack of 🙂 ), production support, Associate Producer and on the latest job I am a co -producer. It is the latest job I am most excited about – I strongly believe that this film should be made and viewed and that maybe people power can make changes. More about the subject of the film later. I am making this film with a highly regarded and award winning documentary maker Janine Hosking. I have known and worked with Janine for about ten years. Wish us well in our pursuit. Thus far the film really has no budget to speak of – it is being made through the generous donations from so many people who share in our vision. This seed funding has allowed us to start up this production – the story of Angelique Flowers. This is the story of an ordinary life with an extraordinary ending Angelique Flowers was the girl next door; the daughter, the sister, the aunty, the student. She loved the Bronte sisters and Shakespeare. She posed for photographs on Oscar Wildes’ tombstone. She baked scones. She watched the Biggest Loser. 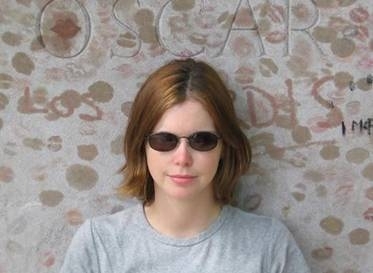 An aspiring writer, Angelique planned to write a novel. She wrote letters to her sister Michelle who lives in Canada. She wrote a total of 35 letters to mark Michelle’s 35th birthday; a birthday she subconsciously knew she would never be able to share with her. This is a story we share with you, of simple things: of the joy freshly baked biscuits hot from the oven, of clouds, of dreams and family birthdays, of song lyrics that make you laugh, make you cry, of hope and of the joy of the every day. Angelique alludes to her ill health, she never dwells on it. If you blink you miss the clues….blink again her life is over. I am just starting a new blog to celebrate the making of the film, please take a look and follow our journey.